Elements is versatile and flexible. The system elements are all completely compatible amd create totally new healthful possibilities for preparing foods. Various pots, inserts and lids all match perfectly and can be combined for different uses. Elements is not only ideal for cooking, but also for serving and storing foods, for example in well-designed cook'n serve bowls. Elements is made of ultra-hard, extremely robust and anti-bacterial high-tech ceramic Silargan. With the cook'n serve bowls you can directly freeze in. 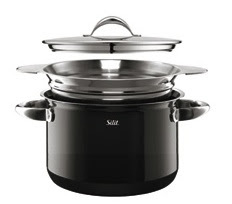 The multifunction lid fits perfectly and is ideal for water-reduced cooking. 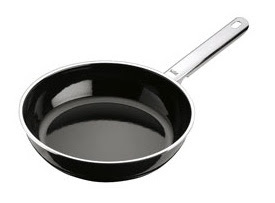 It can be rested on the sides of the pots - table and stove stay clean. All system elements can be stacked to save space. ELEMENTS is a well-designed comprehensive system. The perfect combinability of the individual elements guarantees versatility and the material ensures healthful dining pleasure. Whoever opts for ELEMENTS experiences first-class technology by Silit in its most attractive form.